Curel Hydra Therapy Wet Skin Moisturizer is perfect year round - whether your dealing with dry, flaking winter skin, or need an extra layer of moisture that won't leave you oily in extreme summer heat. I showered and then before toweling off, I applied the Curel Hydra Therapy Wet Skin Moisturizer. It's creamy and thick out of the bottle, but applied very sheerly and smoothly. It felt weightless and absorbed into my skin within seconds. It left a semi-matte finish on my skin once I dried off and my skin felt hydrated and silky. There was no sticky, greasy or tacky feeling afterwards or later in the day. The fragrance is a very faint, slightly citrus scent that dissipates quickly. 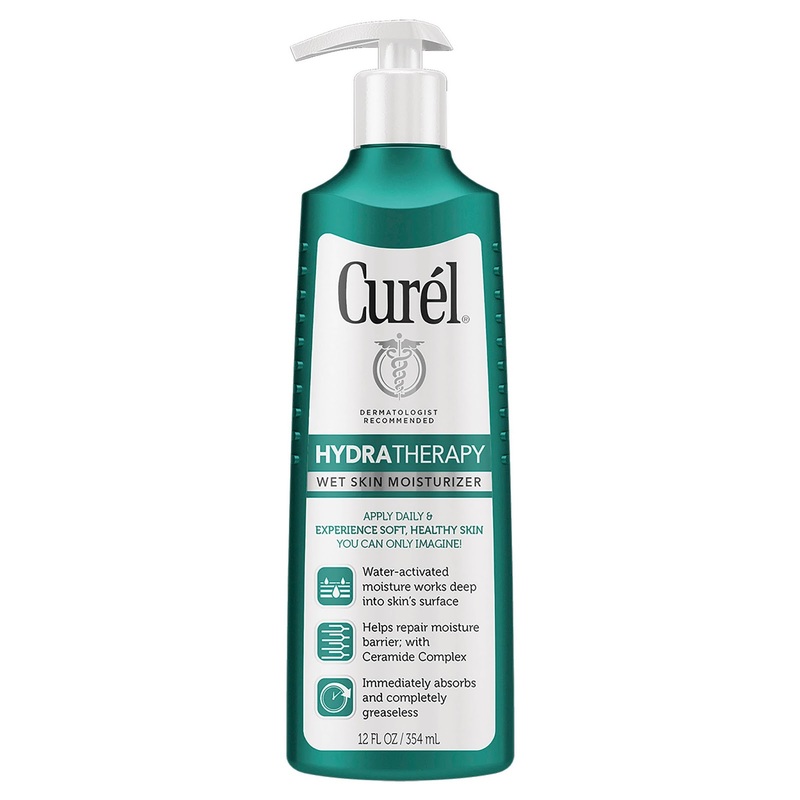 I found the Curel Hydra Therapy Wet Skin Moisturizer worked very well in combination with a quick in shower exfoliation. Layering a thick amount of the Curel Hydra Therapy Wet Skin Moisturizer and then dabbing my skin dry. I was also very happy to discover the Curel Hydra Therapy Wet Skin Moisturizer worked very well as a shaving cream. My razor glided easily over my skin, and the Curel Hydra Therapy Wet Skin Moisturizer felt soothing and moisturizing while eliminating irritation and razor bumps. There are two sizes of Curel Hydra Therapy Wet Skin Moisturizer available, and the smaller, 8 oz one is perfect for the gym to get out of the shower and back to soft smooth skin quickly. You won't ever have greasy hands to rinse or wipe off after applying it! Purchase Here: Curel Hydra Therapy Wet Skin Moisturizer Also available at most drugstores nationwide. *This product was provided courtesy of Curel PR for reviewing purposes.